‘Tis the season for giving, which also means it’s the season of gift wrapping. Whether you prefer gift bags over boxes, wrapping presents can seem like a chore. 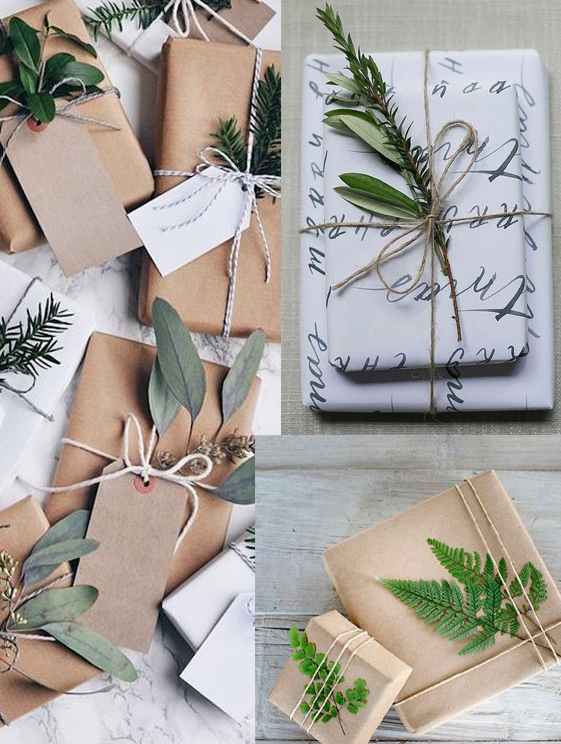 To reignite the joy and art that is gift-wrapping, we’ve collected five unique wrapping ideas so brilliant, it’ll make people feel guilty about tearing away the paper. 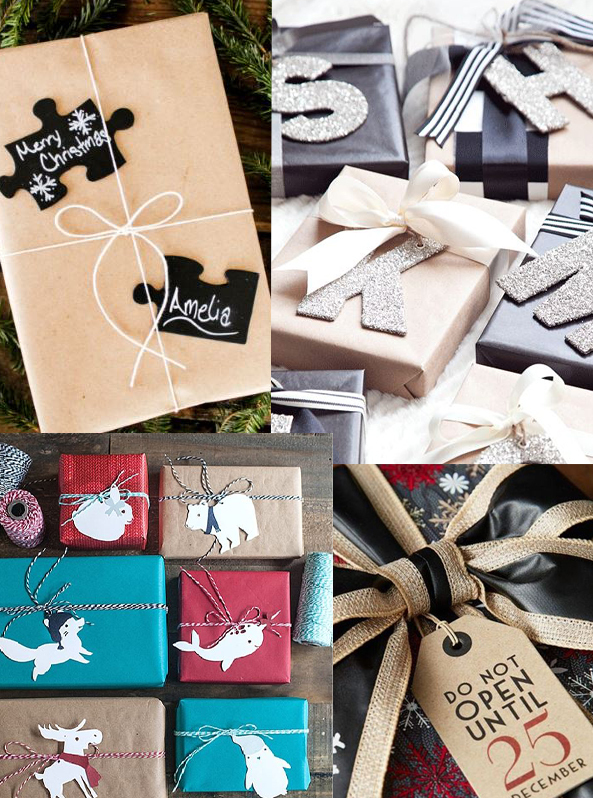 From glitzy initials to playful winter animals, make people excited to see whose name is on the gift tag. This extra personal touch is sure not to go unnoticed, and ties the presentation together perfectly. 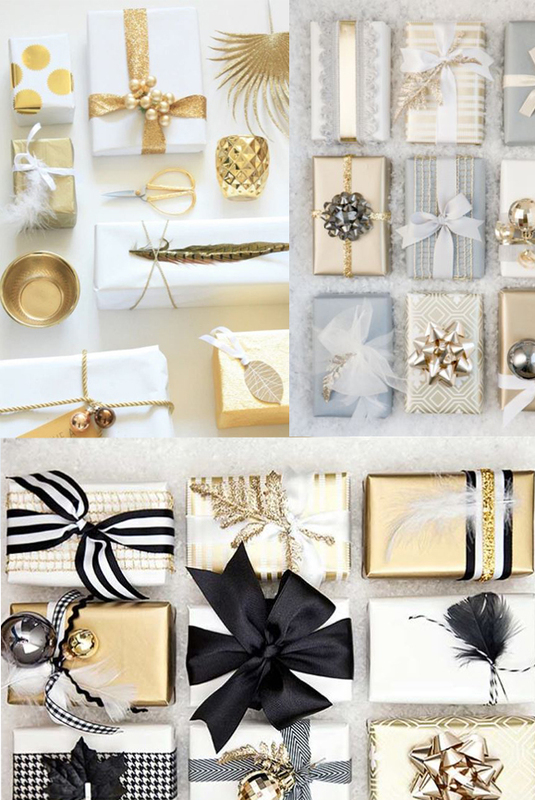 Sometimes less is more, and with these beautiful gift wrapping jobs we can see why. With brown paper, twine and leafy greens, these presents have an earthy and organic look that is undeniably beautiful. 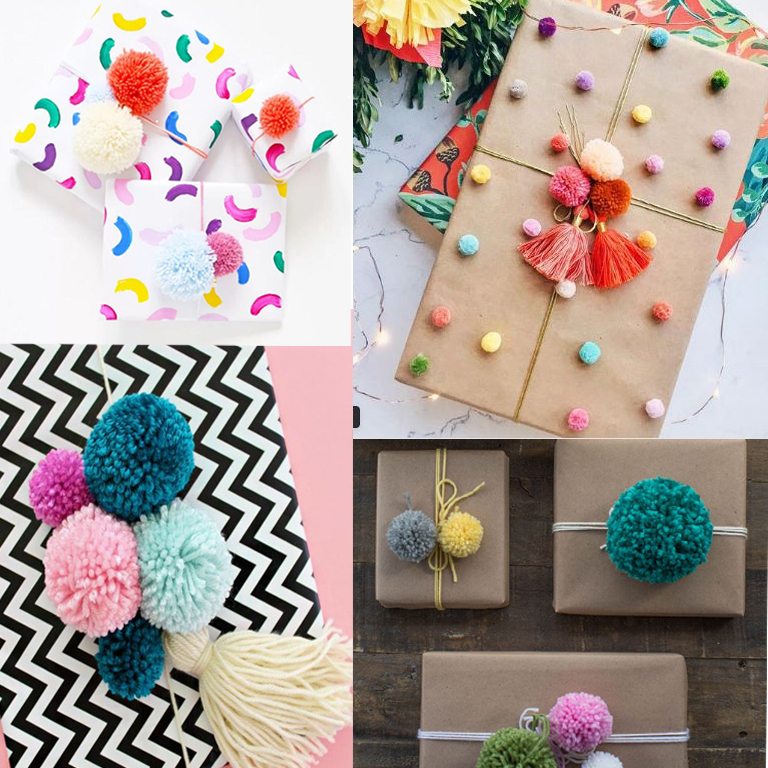 Swap out the traditional gift bow for these fun and playful pom poms. These charming decorations are a pure delight. With popping colors and a fun fuzzy texture, everyone will be wondering who’s lucky enough to receive such a whimsical present. 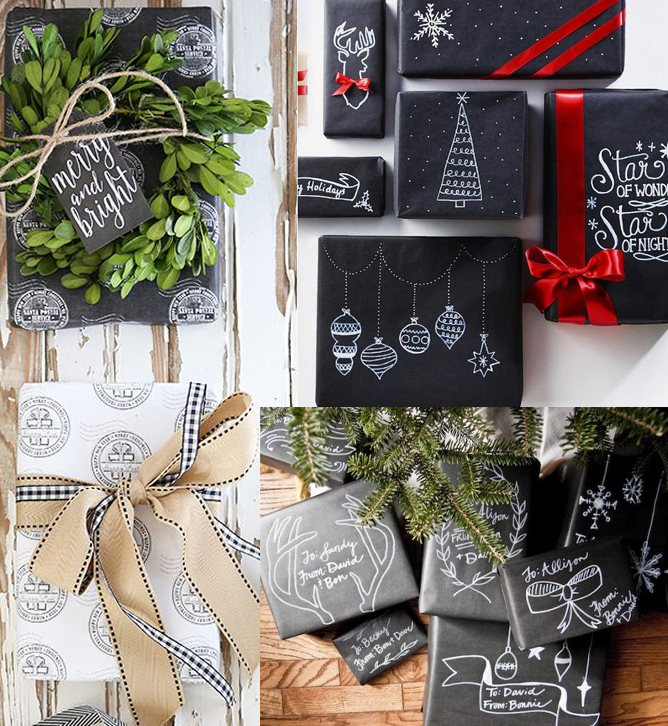 Here at Brewster, it’s no secret that we love all things chalkboard, so we’re beyond excited about this wrapping paper. Let your creativity flow and design your own gift wrap pattern, adding a sweet and personal touch to presents. Combined with twine and leafy greens, this chalkboard gift wrap look has a cozy rustic feel, perfect for the holidays. Looking for a more elegant look? Metallic wrapping paper is your answer. Bright and flashy, these rich presents will stand out among traditional green and red gifts. Tied with a black satin bow, metallic wrapped presents become glamorous.